Beautiful hand censer, made of brass. 7.5" tall x 2.5" wide. The hinged top is pierced to allow the smoke to rise up, and to keep the charcoal burning brightly. These censers have beautiful hardwood handles which remain insulated from the heat of the censer. 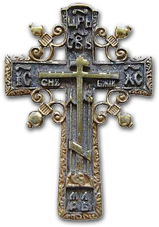 Ideal for home use or for use in reader’s services and for censing icons! Nice looking brass censer with long solid wood handle! Censer is 4 3/4" tall x 2 3/4" wide and the handle measures 8" long! Perfect for censing in your Ikon Corner! We offer charcoal from the United States, Holland and Greece! From the Char-Lite company!! Bag contains 6 pieces of fast lighting charcoal. Each piece is 1 3/4" diameter. Box contains 100 coals. Lite it, and you will be burning your incense in no time! They can be easily broken into smaller pieces too!! If the shipping cost seems high, a box of charcoal has a shipping weight of 4 lbs. Some folks prefer to use this charcoal powder because there are no sparks, no smoke or heavy odor. Made from hardwood charcoal that is ground into a powder. All it takes is a heaping spoonful in your censer, lite it, and it will slowly spread. Patience is needed, because it is not as fast lighting as traditional charcoal. A 1/2 lb. of powder, packaged in a zip-loc bag to ensure keeping the mositure out, and it will give you many many times to burn your incense. Any charcoal that absorbs moisture WILL become very hard to lite, if at all. Open zip-loc bag carefully to avoid spilling. Place a heaping spoonful of charcoal powder in your censer, and lite it with a grill lighter, thin candle or long match, holding it there for 5-10 seconds. Try lighting on a few sides of the powder. Wait a few minutes until all powder starts glowing. Blowing gently over the powder will accelerate the spread of the glow. After the mound begins to glow (white ash) place a few pieces of incense on top. The next time you use your censer, do not throw away old ashes. 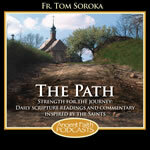 Scoop out ashes from center of the censer, and fill with a spoonful of new powder. If you have never used charcoal powder before, some extra patience will be needed. It does not light as quickly as the charcoal discs. Keep the charcoal powder sealed, as moisture will affect the ability for it to light. Be careful, do not light charcoal powder near flammable objects. As always, watch for children nearby, and place your hot censer in a secure place away from children and/or pets. 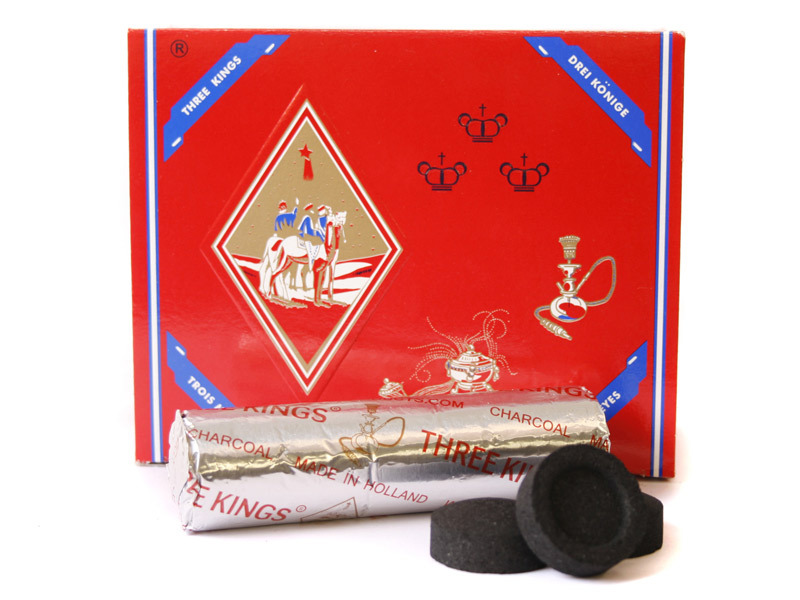 A favorite charcoal to use for burning incense, we have the popular Three Kings Charcoal brand, made in Holland. Right now, we have rolls (10 pieces per roll) of the 33mm size - 1.25" and the 40mm size - 1.50".